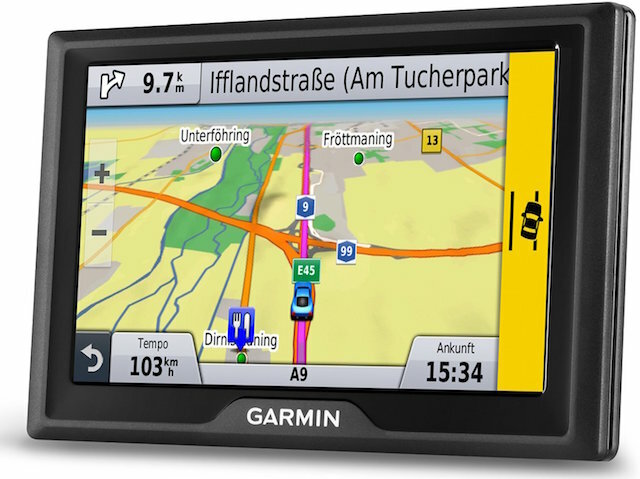 Are you in the market for a new sat nav unit for your car? 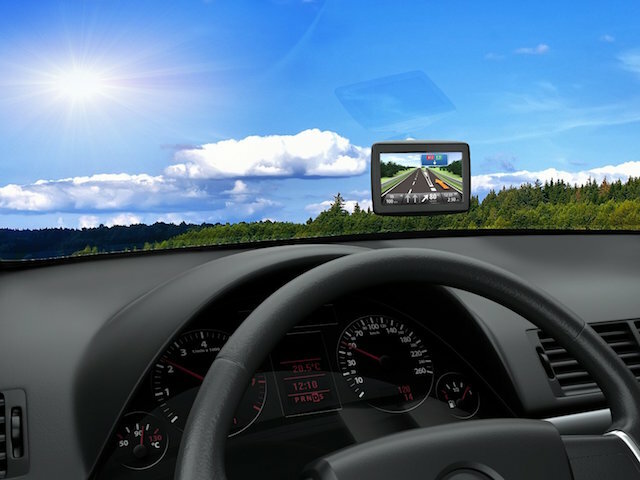 Buying a sat nav unit does not have to be an expensive product as you can buy yourself a great sat nav unit for under £100, however what’s the best sat nav unit under £100 in the United Kingdom. The key here is that we're looking at sat nav units that are from major brands meaning that they will both work as you had expected them, and more importantly will last you for the foreseeable future with out breaking down or going wrong as so many cheap sat nav's often do. When you’re buying a sat nav, you have a couple of options, either you can buy yourself a slightly older model that has been replaced with a newer model and therefore will come with a slightly lower price tag, but at the same time has a slightly better range of features to include some of the latest features that you will see on many of t﻿﻿op of t﻿﻿he range sat nav unit or you can buy a newer sat model that comes with little or no added features, but at the same time has been designed this way. It’s our recommendation that you go with the newer model that comes with less features as generally they work better over the long term. Having a selection of different features might sound great, but often users don’t use them more than a couple of times and therefore it’s better that you buy a sat nav unit that has been designed to work with little or no added features. We would also highly recommend that you stay away from Chinese imports that might be a lot cheaper than other models on the market, but the problem is that they don’t work often in the short or the long term. It might sound like a great value for money product that you can pick up at your local supermarket or online, but they provide little or no service if you have problems and usually will cost you more money over the longer term that if you had just bought a brand named model. The Garmin Nuvi 57LM is a late 2015 sat nav model that comes with a 5-inch screen and a range of features to help you drive from point A to point B. There is a 67LM that comes with a 6-inch screen which whilst we think is probably a slightly better model given the extra features to include dual-orientation screen, however it’s slightly over our £100 limit and therefore the 57LM is a great option. The Garmin Nuvi 57LM is a late 2015 sat nav model that comes with a 5-inch screen and a range of features to help you drive from point A to point B. There is a 67LM that comes with a 6-inch screen which whilst we think is probable a slightly better model given that it comes with a larger screen and therefore is much easier to use with the dual-orientations lane guidance system that kicks into gear when you approach any difficult interchanges, however it’s slightly over our £100 limit and therefore the 57LM is a great option. The sat work well, and offers preloaded maps of the UK and Ireland with Free lifetime map updates. Extra features include a points of interest database with over six million entries, lane assist and junction view to help with difficult junctions, road speed limits, speed camera alerts and a full QWERTY keyboard to help enter your directions in the unit and find your destination. Overall it’s a great sat nav, however it does have some problem areas. There is no Bluetooth, no traffic support, battery life is very light at under one hour and it has not pedestrian mode, however it’s a great sat nav that performs well during tests. 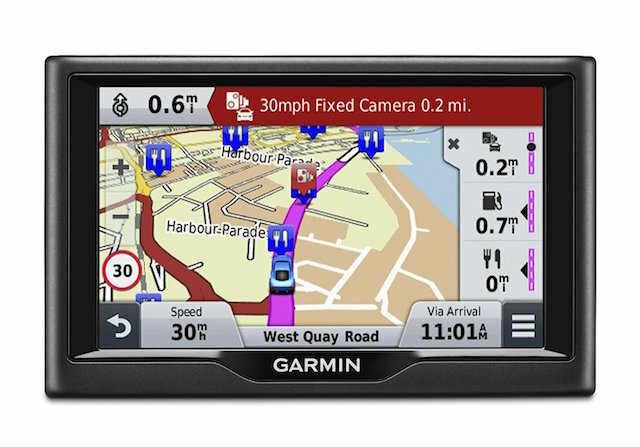 The Garmin Drive 40 is an all new 2016 model from Garmin that has been specifically design as a small, cheap sat nav that does not come with the latest features but at the same time has not be designed for this and therefore comes with a price tag that is under the £100 mark. The Drive 40 comes with a 4.3-inch dual-orientation display that has been preloaded with maps of the UK, Ireland and western Europe with the added benefit of free lifetime map updates. Extra features are limited, as you would expect from a bottom of the market sat nav product, however what features it does come with, work well. 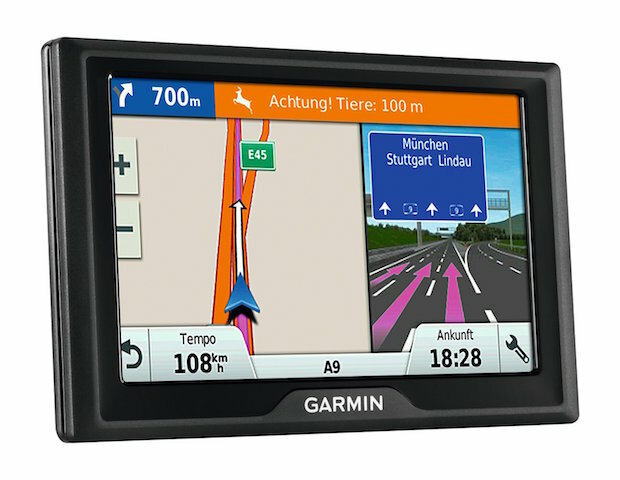 As with all Garmin’s the Drive 40 comes with spoken turn-by-turn directions that make following directions very easy as the unit is more likely to sat turn right after the petrol station, rather than turn right after 200 meters like many older models. Apart from the dual orientation screen that helps with difficult junctions the only other features that you get with the Drive 40 are the driver alerts that help you to drive more safely by providing speed updates and situational awareness for sharp curves, speed changes and one way roads. Overall we like the Drive 40 and thinks it’s a great sat nav unit, however it’s really too small for the dual orientation screen to really work well and quite frankly it’s more of a hindrance rather than a benefit as you cannot really see the screen, however it does work well and for less than £100, you really cannot go wrong. 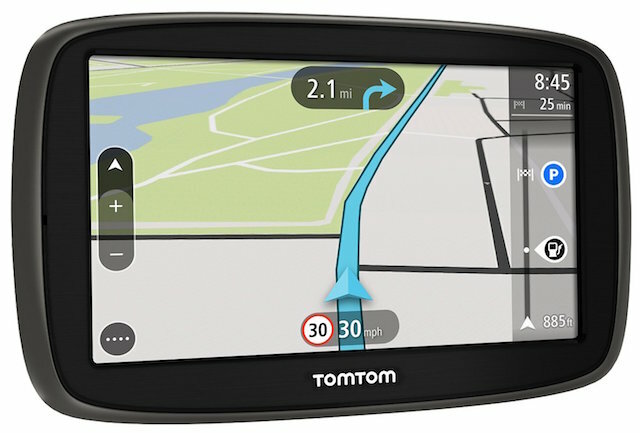 The TomTom Start range of sat nav units comes in a range of three sizes, the 40 with it’s 4-inch screen, the 50 with it’s 5 inch screen and the 60 with it’s 6-inch screen, however given that we’re reviewing sat nav's under £100, for this review we're only going to include the 40 and 50 models as these come in under £100, whilst the 60 is slightly over the price limit. 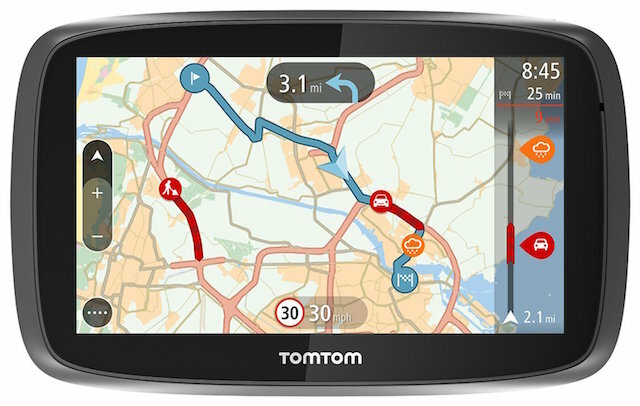 Out of the 40 and 50, we prefer the 50 with it’s five inch screen as the extra screen size makes no difference to the quality, whilst a at the same time offers slightly more room to see your directions and the features that the TomTom Start 50 has to offer. The 5-inch screen comes with a tap and scroll button to easily scroll in and out of your map whilst at the same time being able to navigate yourself around your map. The unit comes with lifetime map updates meaning that you should not be driving around with old maps, but does not come with traffic meaning that you might get stuck in traffic. If you reach a difficult junction, the uses an advanced lane guidance system with brightly coloured arrows to show you which lane you should be in and where to go. If you fancy a quick stop off during your drive, the Drive 50 comes with a massive points of interest database to help you choose.Overall, it’s a great sat nav with exceptional performance for under £100, however it does come with some problem areas such as the screen which is great in everything apart from direct sunlight where you really need a screen shade otherwise you will not be able to see your sat nav unit.